Adult coloring books are now all the rage and there are hundreds available on the market. 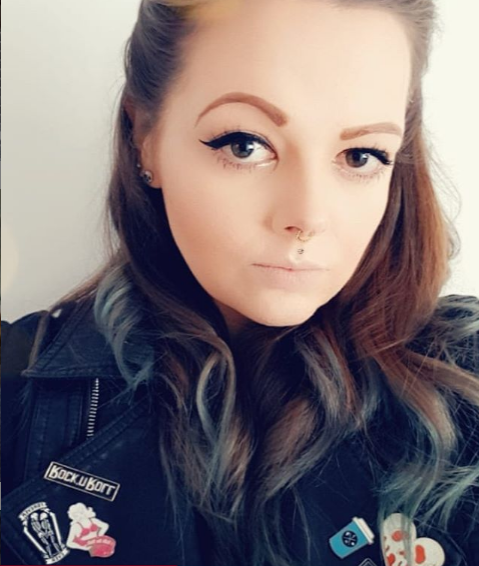 I am a massive fan of this trend! I've had a few books now but eventually get bored with them and look for something new. It was while I was checking on Amazon to see what else was on the market I discovered Querkles and they seemed so quirky I had to buy it! Querkles have a few different books which are colour by numbers and completely made up from circles. 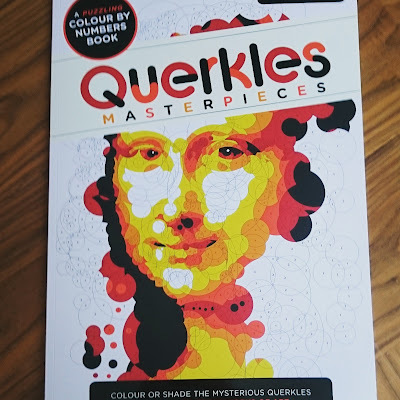 I decided to purchase Querkles Masterpieces: A Puzzling Colour by Numbers Book it contains 20 artistic masterpieces from Da Vincis Mona Lisa to Duchamps Fountain. You can colour it in however you'd like and in whatever colours you'd like but all the circles come numbered from 1 to 5. 1 is the darkest colour or tone and 5 is the lightest. At first it literally looks like nothing and then all of a sudden the art just pops out of the page and it's amazing! I've found it alot easier to colour in using pens over pencils but you can use whatever medium you'd like. I think my next one I try I'm going to use watercolours! I'm addicted to it at the moment and will definitely be purchasing a few of the other Querkle books that are available! I'd recommend anyone to give this a go who want's to join in on the trend. It's a really nice and easy way to produce 'grown up' art! I love my fancy patterns adult colouring book! This is such a unique idea and something I'll definitely treat myself to when payday comes round!